Just one hour before he set out for the United Arab Emirates, Pope Francis made a powerful appeal to “the interested parties” and “to the international community” to end the humanitarian crisis in Yemen in which some 10 million people risk starvation. Francis said he was following “with great concern the humanitarian crisis in Yemen” where “the population is exhausted by the long conflict” and where “so many children are suffering famine but are not able to have access to the deposits of food” that are in the ports. Pope Francis made a powerful appeal to “the interested parties” to end the humanitarian crisis in Yemen in which some 10 million people risk starvation. He called on them to “urgently favor the observance of the international accords that have been reached, to ensure the distribution of food and work for the good of the population.” He was referring to the accords recently reached in Sweden in this regard but which a Saudi Arabia-led coalition (of which the the U.A.E. is a member), supporting the government of Abdrabbuh Mansur Hadi against the Iran-backed Houthi rebels, has not so far respected. “The cries of these children and of their parents rise up to the face of God,” Pope Francis said in words that echo an Old Testament psalm. It was a significant statement given the timing—within eight hours of his arrival in Abu Dhabi—and those to whom he was appealing, including his hosts in the coming two days. It was his third such appeal in the past seven months. His first was on June 17, 2018, his second was at the Urbi et Orbi on Christmas Day, and this—perhaps his most important one—as he prepares to arrive next door to where that conflict is raging. Yemen is one of the three countries under the Apostolic Vicariate (the term for ecclesiastical division or territory) for the southern Arabian Peninsula. It was a significant statement given the timing—within eight hours of his arrival in Abu Dhabi—and those to whom he was appealing, including his hosts in the coming days. 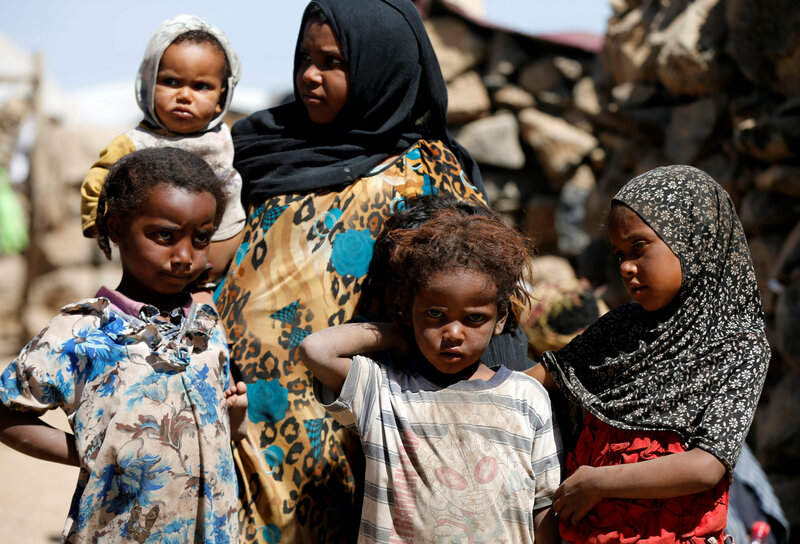 Last August, the United Nations Human Rights Council in Geneva issued a 41-page report that said “information documented by the Group of Regional and International Eminent Experts on Yemen” between September 2014 and June 2018 strongly suggests that parties to the armed conflict have perpetrated, and continue to perpetrate, human rights violations and crimes under international law. According to United Nations Human Rights Office, from March 2015 to August 2018, 6,660 civilians were killed and 10,563 injured in the conflict; however, the real figures are likely to be significantly higher. Last month the United Nations said that some 10 million people risk starvation in Yemen today, notwithstanding the accords brokered some months ago. The National Catholic Reporter’s Joshua J. McElwee reported that the Rev. Paul Lansu, a senior policy advisor for the global Catholic peace group Pax Christi International, said that in being invited to take the trip by Abu Dhabi's Crown Prince Mohammed bin Zayed, the pope faced a dilemma: “Do you talk or not?” He said that “in both scenarios, it is a risk; if you don't go, you let them continue doing what they are doing. If you go, you have the occasion, the opportunity, to talk with them." May peace reign in every heart.